All the Chart Bars, Areas, Lines, Shapes, and Text are fully editable. You will need to modify these ones to your own Chart or use any of the included charts in the PSD file. 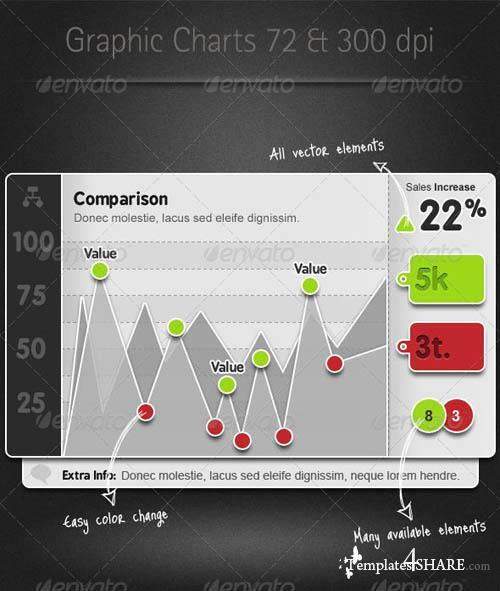 All charts are made using vector shapes, allowing you to change the size, angle, color, etc without quality loss. Any Font will work great, but the fonts used on the preview are free and you will find the link in the help guide.